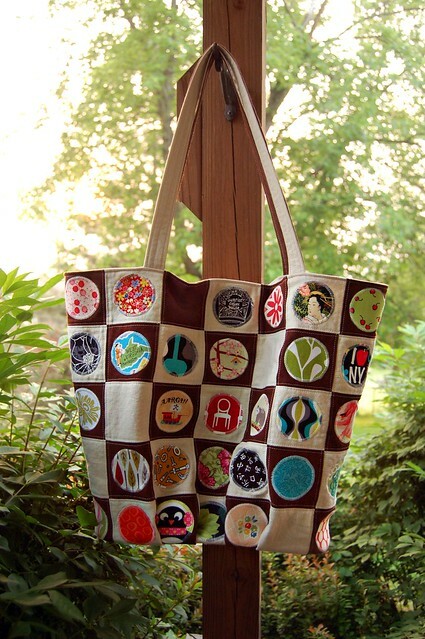 Oh, how I love these checkerboard tote bags! I made two as gifts (you can see them here) and kept one for myself. I just finished mine this morning and have to show it off! 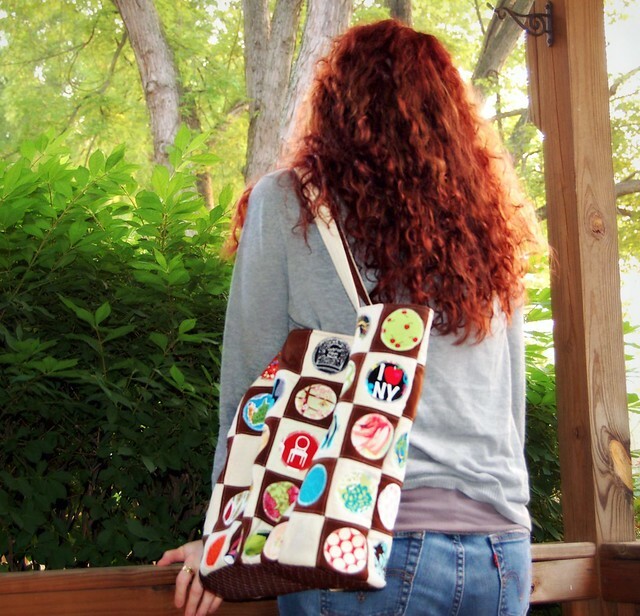 It’s such a fun design, the way the squares make little patchwork frames for the appliqued circles. 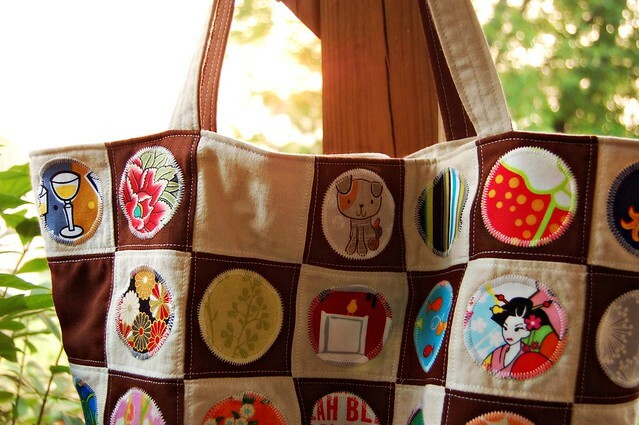 And it’s a great way to use up all those tiny scraps of fabric I’ve been hoarding. They remind me of the things I’ve made for people, so when I see this bag I think of the people. Don’t the little circles all look so happy together, like a group of friends? I was hoping to use this as a carry on bag for our upcoming New York City vacation, but thanks to several thousand dollars worth of unplanned expenses (eeeeek!) our trip is very much in jeopardy. Sometimes everything just hits at once, doesn’t it? … At least I HOPE that was everything! So maybe I’ll just enjoy my new bag around the house. I guess that works, too. Oh, I do love that! Love it! I can see one of these in my future, my mind is reeling with ideas already!